These X-ray zaps explain all the WHOMP/ouchies the last 36 hours. As for when we might start feeling the above double happiness heading our way… we’re gonna say anytime between tonight and February 3rd, perhaps in time for The Kitten Bowl on Sunday. They were facing kinda away from us, so it’s hard to say. It’s hard to say anything these days. One of the Siberian muon detectors. And right now lots of us (who are still reporting in) are getting that ‘energy tap-dancing on your head’ thing. Uncle. Ug. We’re holding the light with our heads. And all these solar flares all of a sudden speak to one thing and one thing only. Can you guess what that one thing is? The sun also has this peculiar “black flash” oscillation which is increasing. More on that later. Check out the gynormous ship coming from the sun/SOURCE portal. The feed was cut right after this passage. That ship is the size of Jupiter. I do have a minor obsession with Ludovico Einaudis compositions since November. Playing some them over and over again or hearing it even while meditating. All of creation — ALL of Creation, including Our own — began with sound. The Event should be no different. Ok, well I woke up with “Hinky Dinky Parlez-vous” playing in my head. Had to search to find it’s from a song called “Mademoiselle from Armentieres” probably written during WWI. That on top of struggling to remember all the dreams and the interrupted sleep have made me feel WHOMPED. I don’t know how to explain it but it seems like since the lunar eclipse I’m playing a game without the rules or instructions of any kind. Signs and synchronicities, like that song, just confuse me. Maybe a nudge to operate on faith and not intellect? Stop analyzing and just be? Oh, and even though he has no idea why my husband is definately feeling all the energy. In the past year his reactions to the energies have caught up with mine to the point we’re almost in sync. My gut feeling is I’m helping him up, he in turn helps others and so on until the collective is on the same page energy wise. I don’t think it even matters at this point whose aware of what’s happening. People are going through massive changes mentally and physically regardless. At least with your updates and graphs I feel like there is a method to the madness! Yes, I have heard really loud jet sounds for well over a year and never see anything! I had to duck once whilst out shopping, nobody else seemed to hear it, I must have looked quite comical! If I do not get a dose of daily Solfeggios I feel very discombobulated !!! Last night, I heard faint music and there was no radio on, nothing playing. it was beautiful like an emotive film track, has any else heard anything like this just in the air….? At least one of the CATs used solfeggio tones for a couple years in meditation, some years ago. Really boosted the outcome. Y-stone isn’t doing anything on the NE, and the earth and Spirit don’t want to do anything here to disturb all those who are FINALLY waking up. Yellowstone is set to blow, around the 36th eruption of Steamboat Geyser. We are nearly at the end of number 35, right now. Feb. 3 is smack dab on point with the pattern. The ET’s (who unlike humans, don’t operate out of Fear) have been monitoring, interfering and stabilizing it very recently. GAIA is the one who is to release the first domino here, since this ascension is ultimately about the Planet being in charge, not us. My carefully contrived physical connection to Yellowstone has been used so far to speed up its activity in order to get us to this point. Whether or not we experience any of that blow on this timeline is pretty iffy, considering we are always being lifted/timeline jumped out of disasters. At these high frequencies, one doesn’t care about that, anyway. But this would be a perfect opportunity to coordinate a perfectly-timed release of the Timeline-separating Solar Flash. And not all will wake up. This was ALWAYS known. How very few would actually wake up. Many have chosen to experience Disaster Earths. Less than 5% of us are going to the 5D+ levels. The rest of you have chosen 4D ascending Earths. Nebraska. We’re all going to Nebraska. Sorry, NE = NEW EARTH. Thanks for your reply – I always “look” for your comments on the web – I really vibe with most of what you say/think. Soul tribe! That message explains the headache. 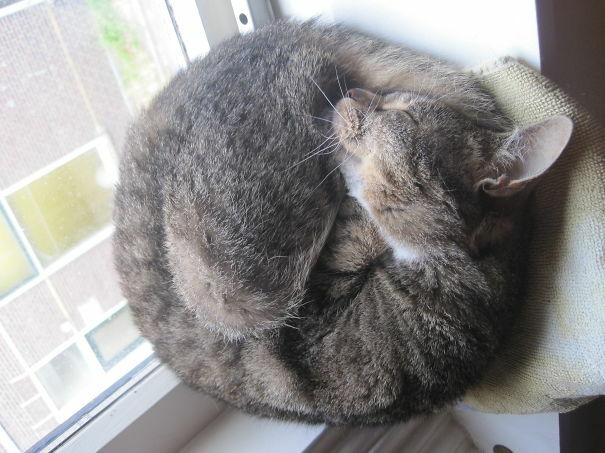 Glad to see so many rotating torus alternatives on the internet these days. Meeee*OW* is about it. It was a really rough several days (and nights). Me? I get them as they release from “sun”, everyone around me gets them “days” later. By yesterday (when you posted this) I was beginning to feel “normal” (just what IS “normal” these days, anyway). So this explains my exhaustion “now” – again. I could use a day (or 300) off from all of this frivolity. And a new bottle of Miewprofen. Thanks for this expected update. I KNEW you’d catch up 😀 ~ Peace, love, light from sunny Sedona. Yes, we also posted when we were feeling normal again. Most (all?) were just too tired to do anything before then, recovering from 3-4 nights in a row of interrupted sleep. 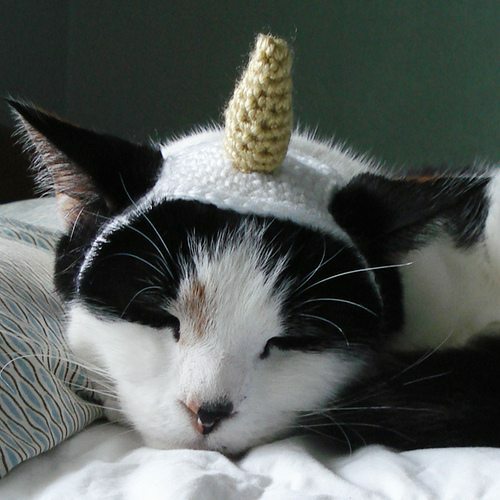 And today… I personally feel like I have a unicorn horn sticking out the top of my head. We’re surprised any of this crap works. Ha! When do the royalties start rolling in for my tap dancing on head energies line? The funny thing is, yesterday and today I’ve been barely able to function. The tap-dancing has changed subtly for me. It’s become a pressure. I’m fairly sure that my neck has become some how shorter. Because I’m sure everyone has been anxiously waiting to hear, yes the new espresso machine has been delivered. I just need to get the hang of it. When I do, it’s a round of lattes for all. I love this sight.💜💙💚 You Cats make me laugh even when times are tough. Thank you for being yourselves. My “former” crown chakra area and my pineal gland were in high reception last night, just before to sleep. I had a dream where i was in a middle of a crowd with some friends/family in feeling, but nobody from my present life. We were discussing about mundane thing, when suddenly everything started to become more and more blurry in my vision. Only some people/friends/family in the crowd were still clear like me. I am going to visit my family in this weekend extended by some paid leaves. Where huge lessons need to be done and purges between them (not me, i am not affected by all this mess, just sad of how things is happening). Lots of P+G+C to do during this vacation for everybody…. need a good stock of rainbow cords lol…. Yeah… that’s probably not going to happen. Everyone to their path. We all have to learn to let go and trust. The “separation” is only temporary. I fell into a wall twice this morning! I’m grounding but it makes little difference. Ringing constant. Is this why I woke up in the middle of the night with a monster migraine?!?! 2 imitrex to take it out. CRUSHING PAIN. This describes a lot of processes in life, including the current meltdown/upgrade of humans and society. The dreams these past 5 days…Oye vey! Anyone else? So vivid, weird and almost lesson like. I even had smells and tastes come through one of my dreams…crazy. Lol. @NLNL8, yes, when I remember my dreams or bits of them they are extremely REAL! That was that whole-earth Wave X thing. OK, so the Pleiadians are calling out this date for The Event. Kinda risky, but we shall see. It is the last full moon to occur on the equinox/solstice (which has been happening a lot, lately). Hmm. @Cat3, notice these so called pleiadians don’t give anything tangible, they confuse with gamma ray, dna upgrade etc and come 3/22 they can simply say its done as there is no way one can determine that. its pretty careful con operation. And emphasis is on 5d is not a place, which simply means that ‘dont expect any change around you’ . But fact is 5d is a higher frequency than 3d , so anything 3d vibration can’t hold space in 5d environment. but this PL bunch is playing with words simply to hitchhike on the already undergoing process of ascension. Well… we don’t know. We’re checking on this. I love all this festivities… Halleluhja! Maybe. Maybe not. Hope so. Well I am beginning to agree with Lisa M stating that plaedian’s are ‘ hope harvesters’, at least the bunch giving out these updates…. Again, we don’t know. There’s certainly nothing wrong with hope. Without it we’re just mass without gravity. But again, we’re checking. For one, I have stopped dreaming – or remembering my dreams – a long time ago. I used to dream the same dream. with the same totem animal (a powerful member of the feline species), when I was a child, and it ALWAYS portended an illness. When I stopped falling ill (except for an occasional cold or running nose), I stopped dreaming. “I am an OBSERVER. I see some things falling apart. I see some things coming together. But in the end, the only “timeline” I am really aligned with is the Ascension one… whatever that means. There are times when I feel like posting this and that and that and this about those “3D event timelines”, but there are often times, like today, when I feel absolutely ZERO impulse to post anything. I just move along with BEing … one moment at a time. I am not about posting 3245 articles a day, or Tweeting this, FaceBooking that and commenting all over the place about other Tweets and FB posts and stuff like that which others seem so big on doing. None of that. Whatever “timelines playing out” scenarios are out there, I don’t really care about them … unless they are aligned with “increasing the frequency, the energy, the consciousness, of our (my) BEingness”. That’s exactly how all us CATs feel. I have the same experience with not remembering dreams and being sick less. It’s not that weird in my mind, I have a strong feeling the reason is that I’m more or less skipping the astral drama and going straight back to source for rest. Which would explain the improved health, and why it feels like I’m being sucked backwards from the center of the universe if woken up before its time. Strangely enough, I woke up today while in the middle of picking shrooms growing through the floor in our apartment while my partner was stepping all over them without noticing. I have nothing to add, I’ve sent a memo upstairs for further explanation. – back to big dizziness and nausea – not that it ever leaves for long these days… Have had a lot of solar plexus and upper chest distress past two weeks – breathing through it with SOURCE seasoning, *sigh* Also resonate with observer and not caring about things (but not in a neg way) or commenting, just don’t care about much ‘here’. Yup. We’re in process of tracking all the evidence down.